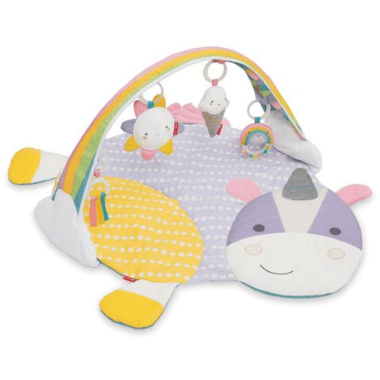 Skip Hop Unicorn Activity Gym is packed with 11 developmental activities. 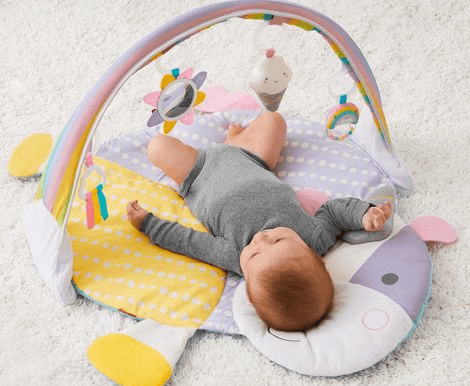 This Activity Gym creates a plush and magical playspace for baby. 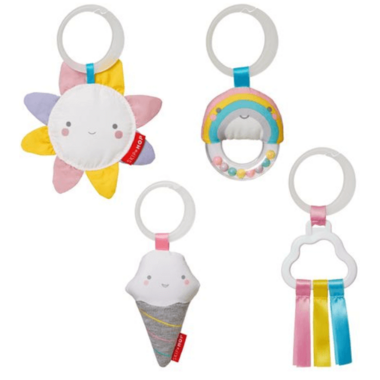 Four whimsical hanging toys provide tactile, visual and auditory exploration, while a sun with baby-safe mirror encourages self-recognition. 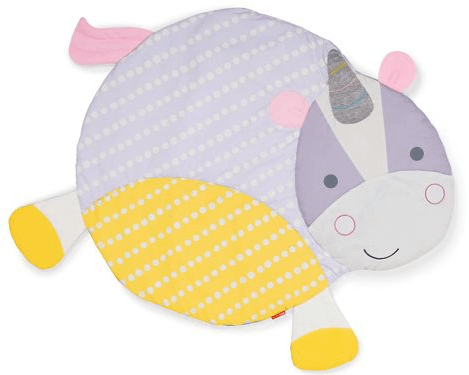 From the minky-soft unicorn pillow with a 3D horn to the comfy unicorn shape mat, Skip Hop proves there's more to fairy tales than story time!